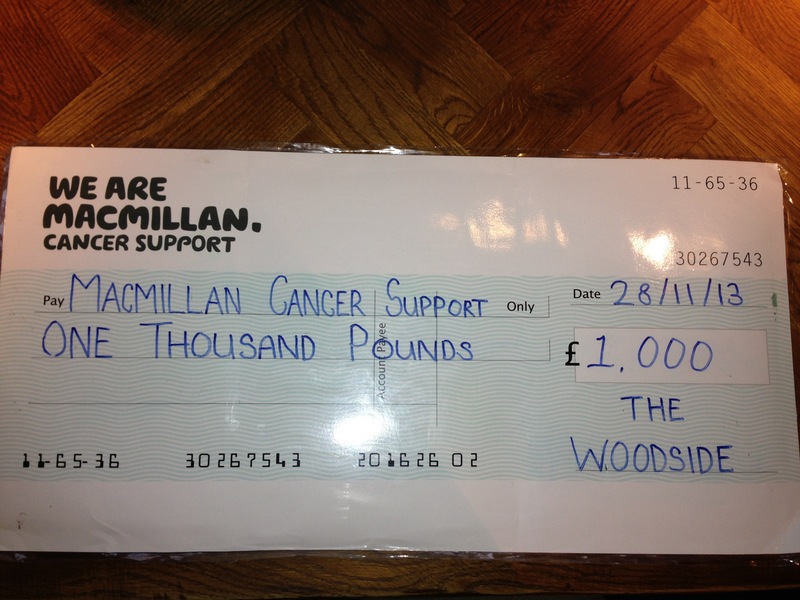 Finally… here it is superstars, the proud moment we presented Macmillan with the money we raised from our charity week with All-Star Academy and the Woodside pub. I'm sorry it has taken a little longer than anticipated, but All-Star Academy and the Woodside have been extremely busy recently doing what they do best. By holding a charity boot camp, selling raffle tickets and home-made cakes and receiving many generous donations we managed to raise a grand total of £1000 for Macmillan Cancer Support. This is a great amount of money, and just look what it can do…..
£15 – Could pay for 32 copies of The Cancer Guide. £100 – could pay for a Macmillan nurse for four hours. £951 – could pay for a Macmillan nurse for a week. £1,474 – could operate our phone service for 2 hours; enough time to answer 54 calls and emails from people who need emotional, practical or financial support. How much Macmillan time can we create together this year? 1 hour – £25 pays for a Macmillan nurse to support a family affected by cancer for one hour. 3 hours – £138 pays for 3 hours of confidential support and information for anyone with questions or concerns about cancer. 4 hours – £61 pays for 4 hours for a Macmillan benefits adviser to help someone struggling with the costs of cancer. 1 day – £181 could pay for a Macmillan social worker or family support worker for a day, helping people manage the social and practical problems of living with cancer. 1 month – £278 could keep Macmillan information and support centre stocked for a month with all the resources it needs to support people affected by cancer. 1 year – £370 could pay for the hire of a room for a year so a self-help and support group could hold regular meetings. 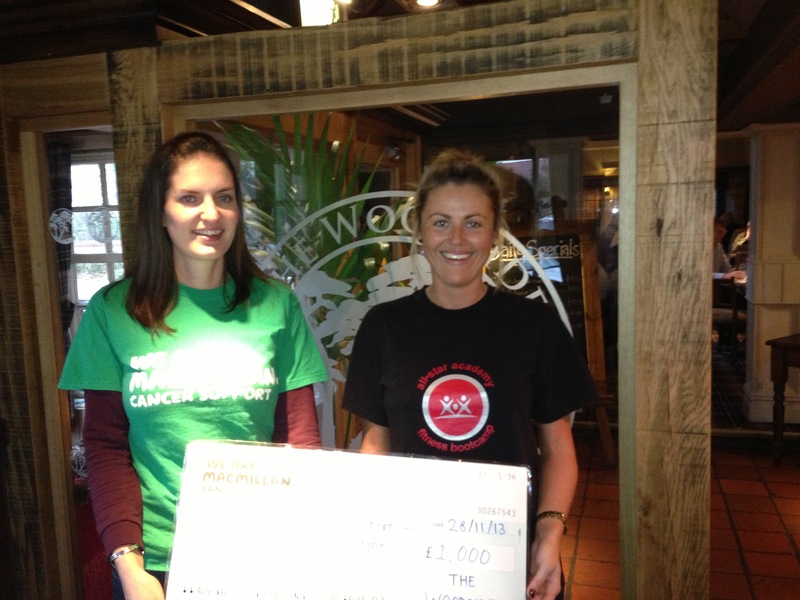 Macmillan couldn't provide their vital services for people affected by cancer, without people’s support and donations. The number of people with cancer is growing every day, and it’s thanks to everybody’s hard work, organisation, determination and kind donations we have been able to reach out and improve the lives of some of these people and make a real difference to those living with and affected by cancer! On behalf of All-Star Academy and the Woodside Pub I would like to say another massive thank you and well done I am extremely proud.